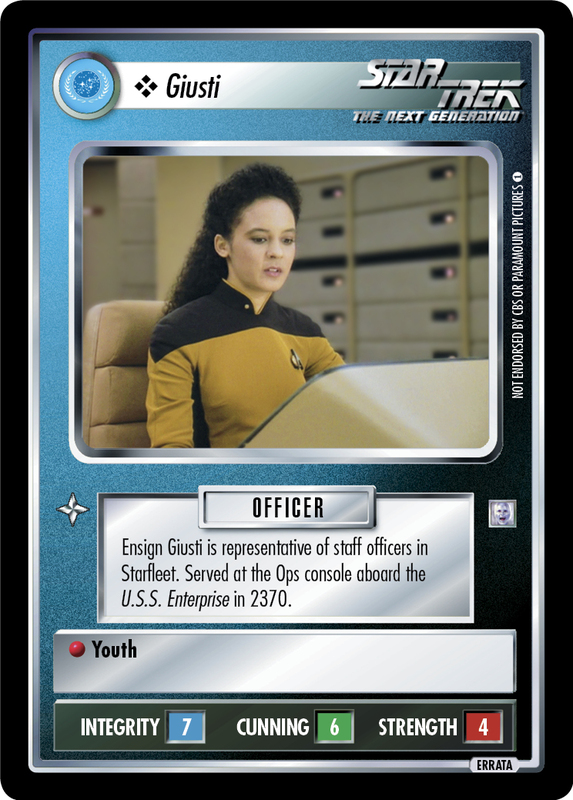 Ensign Giusti is representative of staff officers in Starfleet. Served at the Ops console aboard the U.S.S. Enterprise in 2370.